Feed your adrenaline cravings - rest & relaxation is overrated! Blackwater raft in Waitomo before you hit Rotorua. Try the Zorb then chill out in a Polynesian spa. Have a hangi, go cruising on Lake Taupo & head to the adventure Capital of the World, Queenstown where you’ll take a spin on the Shotover Jet! 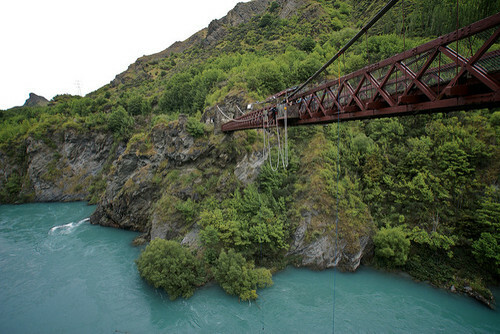 Ever tried bungy jumping, sky diving, canyon swinging? Now's the time! Experience Queenstown's legendary nightlife before farewelling your new friends. Kia Ora! 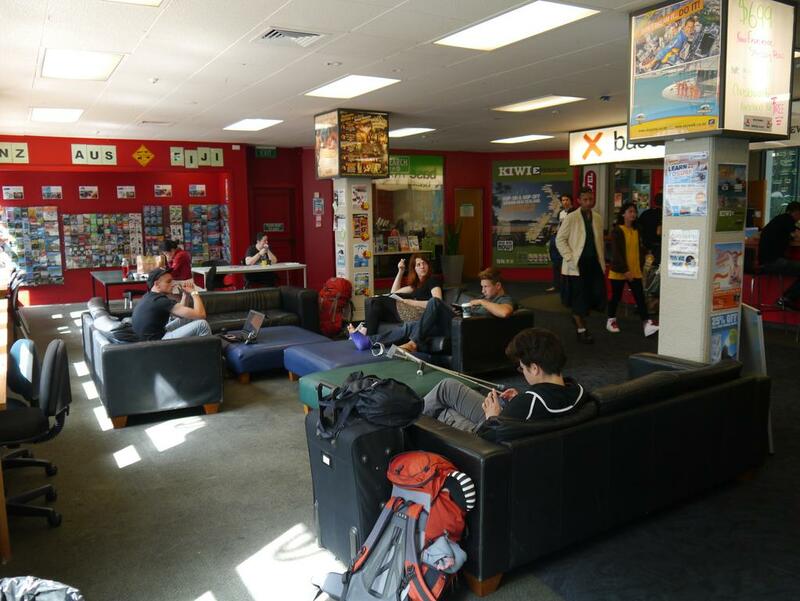 Meet up with your Contiki Crew in Auckland, New Zealand’s largest and most cosmopolitan city. Surrounded by volcanoes, islands and a stunning harbour, you’ll soon understand why this is the “City of Sails” and was once home to the America’s Cup. We drive through the lush farmlands of Waikato – an area that produces many of New Zealand’s best rugby players for the All Blacks. On the way we'll stop off for an included visit at Otorohanga's Kiwi House to check out New Zealand's national bird. Next up is Waitomo and the Waitomo Caves. Famous for their incredible limestone formations and glowworms, the caves are a stunning subterranean world. You’ll see the Glowworm Grotto, where the cave roof is covered with twinkling insects. Tonight, it’s a true Kiwi BBQ dinner and a visit to a typical country pub. Kick back with your friends and some of the locals. Maybe try out the local beer – it’s good! This morning, we stop at the Agrodome farm show for an interactive introduction into farming and agriculture, which is New Zealand’s main industry. You’ll see sheep-shearing and watch an impressive sheepdog demo. These dogs are highly-trained and skilled at controlling livestock. For some crazy ‘Kiwi ingenuity’, try our zorbing optional. It’s an activity where you get inside a huge plastic ball and roll down a 200m hill, either by yourself or with a friend. Later, we pull into Rotorua, famous for its spurting geysers, boiling mud pools, hot springs and ‘interesting’ sulfur smell. Rotorua is an important hub of Maori culture. To recognise this, we have an optional authentic cultural experience, complete with a fantastic Maori hangi dinner and traditional dance concert. Some of the foods you can try from the hangi are sweet potato and chicken cooked on hot rocks in an underground pit – just as they have been for centuries. Listen to stories, songs and chants while learning about ancient Maori mythology and beliefs. This morning, get an insider look at New Zealand’s unique Maori culture & history as we tour Rotorua’s famous Ohinemutu Village with our expert local guide. You’ll learn all about the history of the Maori people, their customs & traditions, plus have the opportunity to ask questions & learn as much as possible about this amazing spot – it’s the perfect way to get in the know. With the rest of the day free to explore the way you want, you can advantage of the city's awesome thermal environment & treat yourself to a spa treatment or massage. Our tip: With so much buzz around the amazing thermal mud treatments found here, we love picking up some products to take home as a gift (or for ourselves!). There are loads of other ways to spend your time too if adrenalin is more your thing, like getting views of the city from a gondola, then speeding down a hill on a luge, or getting a splash as you raft the Kaituna River – the options for things to keep you busy in Rotorua are endless. Or, if chilling out is more of what you’re into, then or hit up a café for a flat white coffee or make tracks to the shops for a spending spree. On the way to Taupo, a visit to the raging Huka Falls will impress. Tonnes of water surge over these falls at a rate of 220,000 litres (58 000 gallons) per second. It’s only a short drive today to the popular low-key resort town of Taupo. Here, there’s some of the best trout fishing in the country and some of the most amazing long-distance views of Tongariro National Park’s three volcanic peaks. Cap off your day with our optional dinner cruise out on New Zealand’s largest lake – Lake Taupo - where you can also have a go at fishing! Later, back on land, play some pool at one of Taupo’s lakeside bars. Spot the dramatic volcanic landscapes that were used as backdrops in "The Lord of the Rings" films today, when we drive past World Heritage-listed Tongariro National Park. The park is also home to the still active volcano, Mt. Ruapehu, which doubles as NZ’s biggest ski field. Next stop – the capital city of Wellington. It’s the country’s political centre and cultural core with funky shops, fringe festivals, galleries, as well as a huge amount of cool cafés and bars. The peak of Mt Victoria gives an amazing overview of the windy city. 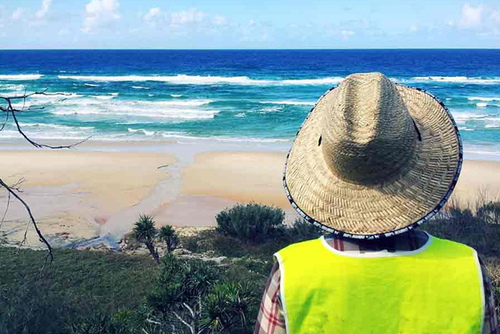 Take in the sweeping views of pretty beaches, narrow streets, and weather-worn Victorian houses. Tonight, enjoy an optional dinner with the group in the heart of the downtown area, which has a great, lively atmosphere and plenty of cutting edge restaurants and bars. You’ve got a full day to discover Wellington – its compact centre is perfect for exploring on foot. Walk alongside the harbour or visit the innovative Te Papa Museum for a look into New Zealand history and culture. You could take a walk around New Zealand’s political heart by visiting some of its government buildings. Take in the iconic ‘Beehive’ building & its distinctive shape, which was specially designed to cope in case of an earthquake. You could hang out on alternative Cuba Street, watch street performers or rummage through some of the surrounding retro stores. If you’re hungry, try out some of the great ethnic foods you can find in this multi-cultural city, like sushi, Thai, kebabs and Italian gelatos. For something different, learn about the age-old art of tattooing at the Tattoo Museum. From traditional Maori moko (face tattoos) through to colourful contemporary designs. There’s even a tattoo parlour on site if you’re game! Jump on the Inter-Island ferry and leave the North Island behind. 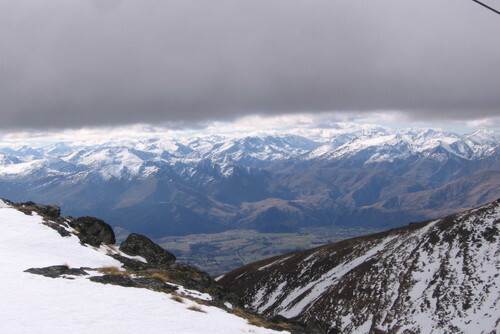 The South Island means a complete change of scenery with loads of wild nature. Cruise through the gorgeous Marlborough Sounds, where thick forested peaks rise straight up from the sea. It’s a camera-friendly spot with picturesque inlets, remote coves and tiny beaches that dot the islands. You’ll also see some old wooden baches (New Zealand holiday houses) and boat jetties. After the cruise, it’s another jaw-dropping drive to Kaikoura, via Marlborough’s wine country. We travel on to the wild, rugged east coast and stop at a seal colony, before passing through Kaikoura. This seaside settlement is known for whales, dolphins and delicious, fresh crayfish sold from roadside vans. The coach cuts across the Canterbury Plains to Christchurch. After a leisurely start to the day we begin our journey west through stunning Arthur’s Pass, following an old trade route. The dense native forest, alpine atmosphere and crystal clear rivers give the area its pioneer feel. We’ll stop in at the former gold rush town of Hokitika on the West Coast. It’s great for a look into a traditional Maori art. Watch authentic carvers work with New Zealand greenstone (jade) and learn about the importance of this stone. You could even pick up a piece to take home. Sticking to the untamed coastline, we arrive in the Westland National Park. Franz Josef is our stop for the night, a town where lush bush land and glaciers almost reach the sea. This morning, get physical and pull on your crampons, grab an ice-pick and head out onto the ice of either the Franz Josef or Fox Glacier. On this optional activity, you’ll learn about how these glaciers came about with our professional Local Guides. Otherwise, you can get a bird’s eye view over these icy formations and sweeping vistas in an optional helicopter ride. Relax on the coach, chat with friends and take in the stunning scenery of the Haast Pass & Thunder Creek Falls as we head down to Queenstown. Cruise past remote beaches and the coastal dunes of the west coast before hitting Haast Pass. Ancient rainforests, small glaciers and waterfalls give this area its unique atmosphere. There’s even more scenery changes when we cross the Southern Alps and enter the region of Otago, with its golden grasslands, cliffs and hills. 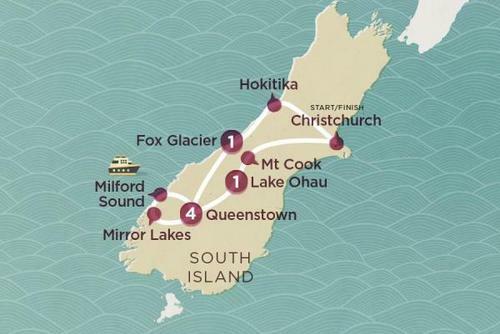 Next up: Queenstown, the adventure capital of the world. This is one high-energy destination that has something for everyone. From jet boat rides to fantastic local food, gorgeous countryside and the world’s most southern wineries, the list really is endless. This morning, you’ll take a ride on ‘The world’s most exciting jetboat’ the iconic Shotover Jet! Hold on tight - speeding down the Shotover River on a jetboat amongst the fierce canyon walls (so close you could probably touch them) is a thrilling experience & getting a pic to take home of the group in action is a must. 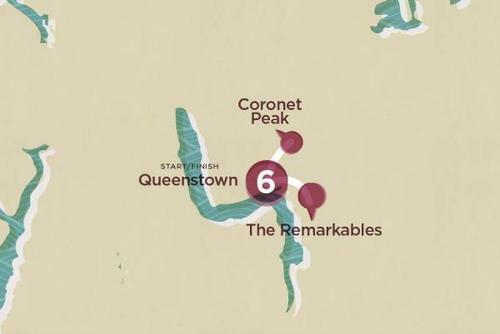 Next up, legendary Queenstown! This traveller favourite is world renowned as the home of action & adrenalin & needs no introduction – your time here is guaranteed to be epic, no matter what you choose to do. The nightlife here is equally as awesome as its adrenalin fixes & with VIP entry to one of the town’s hottest nightspots you're sure the start the night out right. With two more days here, you’ve got time to try out adrenaline-pumping activities, to take it easy with a glass of local wine or beer and of course, to party – something Queenstown is known for. There’s also the option to take advantage of our explore more highlight optional – your chance to experience the stunning Milford Sound. Milford Sound is one of New Zealand’s gems. This slice of paradise has been voted one of the world’s top destinations & is known around the world for its gorgeous waters & stunning scenery. Set in Fiordland National Park, Milford Sound is a UNESCO World Heritage listed site so get ready for the epic scenery – high mountains rise straight out of the sea and waterfalls pour down sheer cliffs into the deep, dark waters of the fiord. For adrenaline junkies, there’s bungy jumpy, sky diving, jet boating, canyon swinging and quad biking. 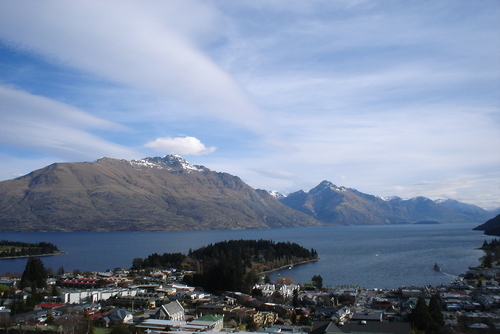 In fact there are so many adventure activities in Queenstown that you couldn’t do them all in the 2 days if you tried. For those who like to keep their feet planted firmly on the ground, take an easy-going hike or push yourself with a tougher trail. Pumping at night, Queenstown is the place to hit some of New Zealand’s best bars and clubs. With cool cocktail bars, old-style pubs and plenty of clubs, there is so much to choose from. I've been on 5 Contiki tours and have 2 more lined up for next year, I absolutely love this tour operator!!! 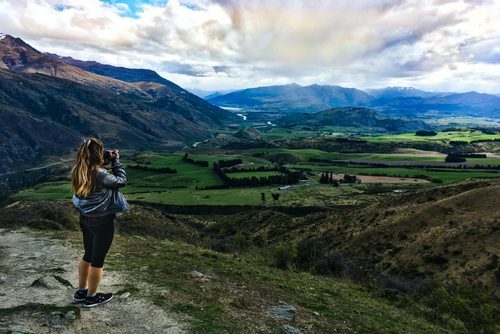 With the Kiwiana Panorama you get to travel with people your age, go sightseeg and/or party as much as you want, you meet the BEST friends you'll ever make, experience life in a group while doing your own thing, it's the perfect way to travel! Contiki gets you everywhere and tells you about the fun and interesting stuff to see and do, all while staying in really nice hotels, so it's actually great value for your money, if you think it looks expensive just think about everything that's included! I'm a vegetarian myself and even that has never been a problem, they always take amazing care of me! So what are you waiting for, go book that next adventure in New Zeaalnd with Contiki!! !